In the past, many families have sent treats to school to celebrate a birthday. We will celebrate birthdays to make your child’s day special in our classroom! To help us not exclude students with various food allergies from this celebration, we are asking that NO TREATS are sent to school. However, your child may bring a non-food item (pencils, stickers, erasers, etc.) to pass out to the class or donate a book or educational game to our classroom. If food treats are sent to school, they will be returned home in your child’s backpack. Parent/Teacher Conferences are taking place the evenings of February 28, March 1 and the morning of March 2. Watch for more information. 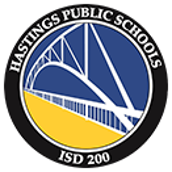 Hastings Public Schools offers a Summer Adventure Program (Summer School) free of charge for eligible students. The elementary program will run for three weeks from July 9 through July 27, 2018 at Pinecrest Elementary. Classes meet from 8:30 a.m. to 12:00 p.m. Monday through Friday. Bussing will be provided (for those students who live outside of the walking area). Classroom and Special Education teachers will be having conversations about Summer Adventure during the upcoming weeks. The MCA math & reading tests will be taken online for students in grades 3 and 4 between April 2 and April 27. More information to follow in the March newsletter. MY CHILD IS GOING HOME FROM SCHOOL WITH A FRIEND, WHAT SHOULD I DO? If your child goes home with a friend after school please send a note to their teacher and call the office. If your child intends to ride a bus home with their friend, the bus driver also requires a note. Students will not be allowed to deviate from their regular going home routine without a note giving your permission. Class placement forms are available in the office if you wish to provide specific input into your child's 2018-19 classroom assignment.